Shungite is a very rare stone which can be found only in several places in Karelia. It's age is about 2 billion years, and it was first found in 1887 and started to be studied only in the beginning of 20th century. This beautiful mineral is used in different areas including interior and exterior design (as a decorative element) and metallurgy. It is also a popular product in water cleaning and alternative medicine. 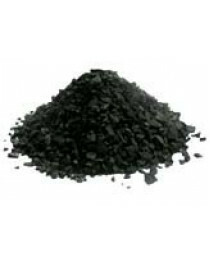 Shungit consists for 70% of carbon and for 30% of ash. The unique feature of this mineral is that in water cleaning process the water is enriched only with useful for a health elements. 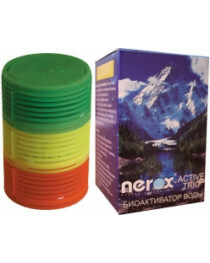 This is a perfect natural absorbent which keeps up to 94% of harmful admixtures on its surface. The simplest way to clean the water is to put several Shungit stones in it and leave it for several hours. The water won't get any specific color or smell but will be much cleaner and more useful for health. Shungit plates are used to enrich food with positive energy. This mineral can be used as a part of clothes (for example, in a belt) so you can benefit from it during all the day. The stone can also be used in spiritual practices as it is believed to bring the harmony into the body, calm the nervous system and get rid of the illnesses. 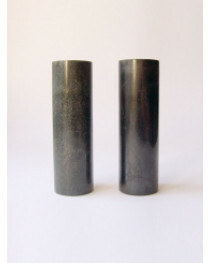 Bioenergetics specialists recommend to use Shungite cylinders for “charging” our bodies with positive energy. 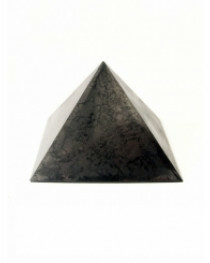 One of the most popular forms are Shungit pyramids used for reducing the EMF radiation and harmonizing the atmoshere. 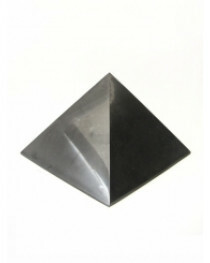 Designed in beautiful black color, Shungite pyramid can become an interesting accessorize at your working place or at home, both stylish and useful. Shungit figures is a perfect gift for someone you love and care about. A small pyramid in neutral and strict design, it looks well both in office and at home. 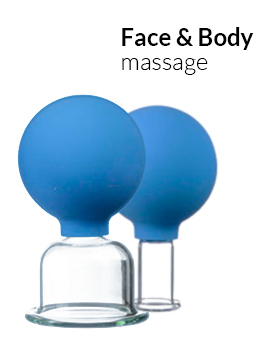 It can be used even in offices with the strictest rules about employees working places, so don't hesitate and choose one for yourself or your friends.